Few people are surprised when college students make poor financial decisions. After all, college is a time to make mistakes, learn from them, and become a better person, right? Unfortunately, too many college students commit drastic financial errors that haunt them for decades of their adult lives. 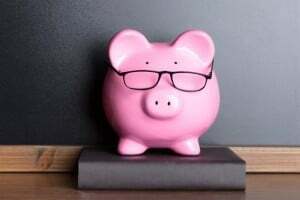 Because an overwhelming percentage of students are totally financially illiterate — lacking any understanding of budgeting, debt, investing, and other essential financial knowledge — most young adults develop spending habits that will thwart their efforts to become financially solvent as they mature. Here are some of the worst habits cultivated during students’ formative college years. College is a magical period in life, with nearly unlimited freedom and barely any responsibility. Knowing this, many college students work hard to take advantage of this brief, fairy-tale time, trying to attain the best possible college experience. Unfortunately, for most students, the best possible college experience is less focused on academia and devotes excess time, energy, and financial resources to discretionary extracurricular activities. Instead of spending long nights in the library, many students use the moonlit hours to spend time at bars, clubs, and house parties. After four (or more) years at college, booze, tobacco products, and other party paraphernalia become exceedingly costly. On one hand, college students should enjoy their last years without full adult responsibilities, but on the other hand, adulthood becomes that much more difficult when students fail to prepare adequately during their time at school. By developing smart money habits, students can save for the future and enjoy the present without financial worry. More than 95 percent of college students own a computer, which makes total sense: In this age, students simply cannot survive without such technology. However, what may be surprising is that nearly 70 percent of first-year students enter college armed and ready with a Mac. Mac computers are notoriously expensive, and considering a typical college student’s meager computing needs (Internet connection and word processing, usually) Macs are generally overloaded with costly unnecessities. Considering that every MacBook on the market costs over $1,000 and functional PCs are available for under $400, choosing for the brand seems a costly mistake. This example is one of many that demonstrate how college students can be blinded by branding. 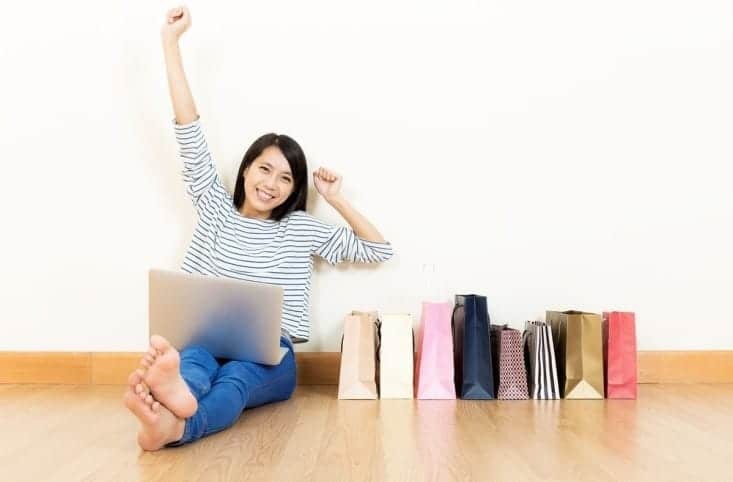 Rather than purchasing the basics they need, college students are often swayed by popular opinion into cashing out for big-name brands. According to Freakonomics, an individual can easily save $1 billion simply by opting for generics or store products over brand names, and this is certainly true for students, as well. Few college students relish the idea of eating at the campus dining hall, and being ill-equipped without cooking skill or kitchen tools, a paltry 9 percent students regularly buy groceries. Instead, the overwhelming majority, a whopping 71 percent of students, obtain most of their meals from restaurants. In just one month, this practice can cost a single student more than $700. While there are a number of tricks to saving money while eating out — asking for student discounts, taking advantage of happy hours, using coupons — it is more financially viable in the long run to learn how to cook. Students can ask their parents, their friends, and even culinary experts for guidance in the kitchen. Eventually, home cooking becomes more gratifying than paying for whatever greasy, salty meal students could afford at a restaurant. Every student knows that college tuition and fees are costly. American student loans are quickly developing a crisis, with more than 70 percent of students leaving school weighed down with debts of more than $30,000. Even so, most students could easily avoid such crushing debt by spending some time investigating alternative sources of financial aid. In the United States alone, there are more than 750,000 open scholarships, all told more than $1.2 billion devoted to helping students achieve academic excellence. Additionally, plenty of students can enter work-study programs that negate some costs of school, and others can apply for government-sponsored grants to fund their studies. Financial aid is available to anyone who puts in the time to research and apply. The first period outside one’s childhood home can be difficult, but for college students who waste their formative years chasing “the college experience” and spending wantonly on expensive food, drink, and tech will undoubtedly have a much harder time acclimating to true adulthood. By crafting a budget, choosing less expensive options, and staying ahead of their debts, students can build a firm financial foundation for the future. Thanks for your article. The pity is that these mistakes keep being made as adults as well. I went to the University of Delaware, and there it seemed like 99% of the students owned Macs! While I didn’t have a Mac computer, I had an iPhone and iPad. Hi Robert! I completely understand the logic of the eating out v in as well as informing fin aid ( like James mentioned, I entered college loaded with scholarships, then quit applying- bad idea). However, I believe that their could have been a better example as far as Mac v. PC. When I entered school I had a PC, it crashed on me TWICE, once requiring me to pay $350 to repair (thus brining this repair +purchase cost equal to just the purchase cost of Mac). Shortly after the second crash (and lost of thousand of songs worth of an extensive playlist- external drive included), I finally purchased a Mac in 2011 after 2 years of PC land. Fast-forward 4 years, my Mac is Still. Going. Strong! I believe that the message here is more quality over quantity. Know what the cost value is of any purchases that you make (whether laptop v. TV v. cellular phone or anything else)!